I’m always shocked at how many people are thinking about or are interested in real estate investing. I’m no expert, but I do invest in real estate and I’m currently ramping up my investing. The more deals I finish, books I read and investors I network with, the more I realize how much I’ve learned. I want to share my story in hopes of answering questions and giving you a real example of how to get started. My start was as simple as it comes … I just needed a place to live. After undergrad, I moved back home with my parents to start my new job as a consultant in the greater Washington, D.C. area. A year later, I was ready to get the f*** out of my parents’ house. The idea of renting felt like wasting money and at the time all the 23-year-olds were buying property, so why not me? Sounds like opportunity to me! Real estate investing runs in the family. After leaving our first home, my parents decided to keep it and rent it. Even with all it’s issues and bad tenants, that house put both my brother & I through college. 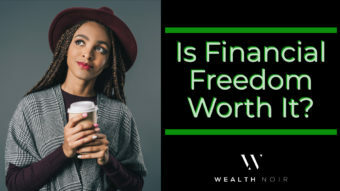 This example, coupled with my lifelong obsession with generating wealth and financial freedom gave me an investor’s perspective on finding my new home. While there are many reasons to buy a home, I wanted to make sure I was making a sound financial investment. First thing I did was read “Investing In Real Estate” by Gary Eldred. This armed me with a ton of basic knowledge about finding neighborhoods, thinking about rental income, and the nuances of financing. 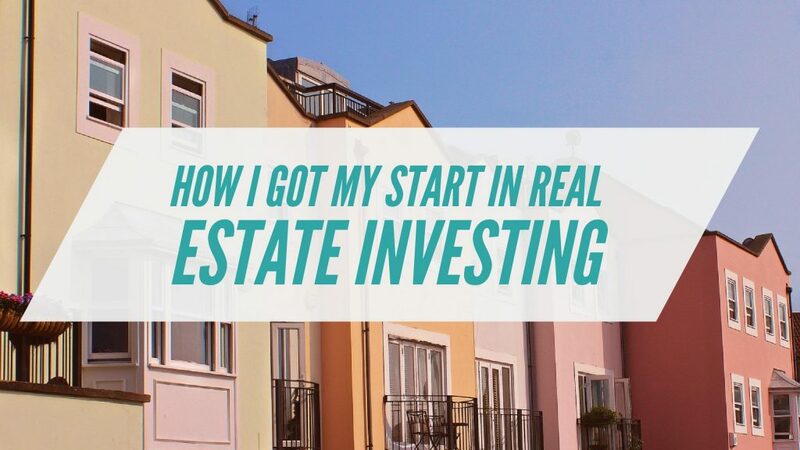 A pivotal moment was deciding what type of real estate investor I wanted to become. A lot of people think of flipping houses when they hear real estate investing. I knew I wanted passive income, like my parents, and wanted to buy & hold. Buy & Hold investing is buying rental properties for long-term cash-flow and appreciation. 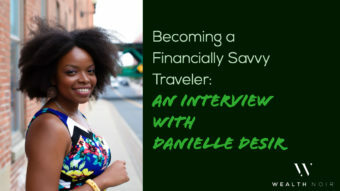 Check Out: Living Abroad: Is Taking a Break Abroad Right For You? Paying the right price for your home is how you guarantee your money. Buying at the right price gives you room for surprises or hidden costs. 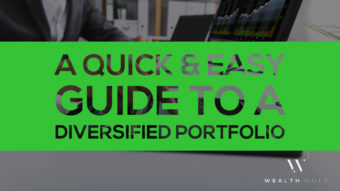 It locks in your profit so you have options. If you pay the wrong price for a deal, it is impossible to recover and make money. For me, this meant looking at short sales, foreclosures, and houses that needed a little updating. I knew the savings would help ensure I was generating wealth with the purchase. Neighborhoods that are good for investment rental properties have a strong rental market. The area should be desirable and a great place to live. 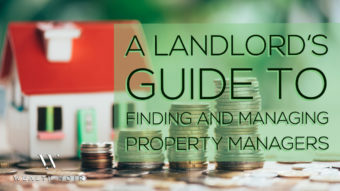 This helps ensure you can constantly find good tenants and keep your property rented. Everywhere I looked, I made sure to check the rental market for activity and high rents to be collected. 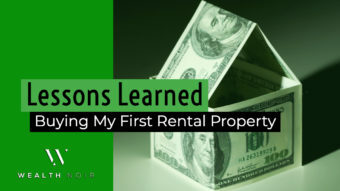 I wanted to make sure that when I rented my home I would make a profit every month. Buying a house that is too expensive for a person’s income was one of the core reasons for the real estate crash of the 2000’s. People were being convinced to buy houses that were way too much for them to afford and then everything exploded. I had a budget and I stuck to it. I had some money saved for a down payment (which I ended up not using), a solid job and a good grasp of what I could afford. Back then I used Zip Realty (but prefer Redfin now) because their realtors would pay you part of their fee as a refund. They also had a great online search tool (by 2007 standards). I looked for multi-units, condos, and single family houses. I searched DC & MD trying to find a place. I learned a lot just visiting houses and talking to realtors. You start to understand what determines prices. Stuff like floorplans, neighborhoods, renovations needed, etc. I saw triplexes missing a ceiling, duplexes in the hood, and condos with insane H.O.A. (Home Owner’s Association) fees. Each taught me something and helped hone my search. Eventually I found my home. A two bed / two bath condo on short sale (house is selling for less than is owed to the bank…a sign of “distress”) in Largo, MD, three miles from my parents’ home. It needed a little work, but was walking distance to the subway and was next to several apartment buildings with good and high rents. It was selling for $30k under other condos in the same complex and it was nearby to family, in case I needed help once I eventually moved out. Two years later, an opportunity to move to Atlanta would make me a landlord. 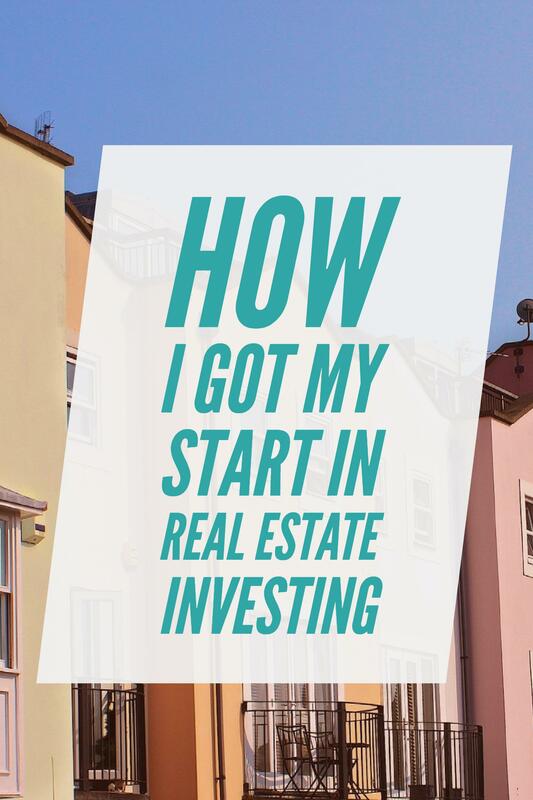 This would officially start my real journey in real estate investing. 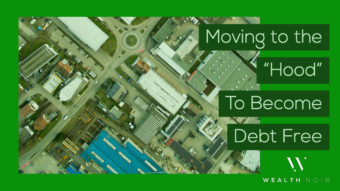 But, making the transition wasn’t hard because I picked a property I knew could work. I was wrong! Oh man, was I wrong. The economy changed (aka a recession), rents changed, property values (which I thought had stopped dropping) continued to drop, and I learned about bad property managers and an eviction. Yet, even with all of those issues it will still make me money in the end. I was able to buy this condo with 0% down. With someone currently paying my mortgage and more, development that is raising property values and rents, and a great tenant in place, I’m happy. I learned a lot, which made my second investment property much smoother. I do believe in learning by doing and I was able to live through it. I underestimated the costs of repairs, maintenance, and vacancy. Comparable rents are twice as much as the mortgage payment. Comparable rents are 1% of the purchase price. As you are looking at potential investment rental properties, these basic rules can help you filter the hundreds of homes that come up in your city. I use them when searching Redfin or Zillow for properties. The point of my story is that it didn’t take a lot for me to get started. And even though there were issues, I learned and have survived. 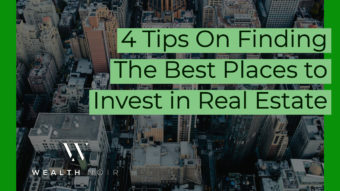 If you are thinking about adding real estate to your investments, don’t be afraid. There is a lot to like and it’s not as bad as you think to get started. Are you interested in real estate investing? 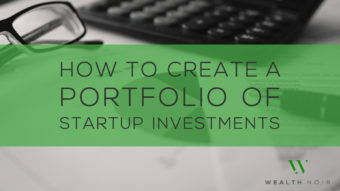 Already have some properties and have your own story to share? Leave us a comment and join the conversation. No problem. That’s what we’re here for. Where do we get and what are the qualifications for these no-money down mortgages?!?!?!? Super easy. All you need is a time machine. Lol. You can still get 3% down FHA loans, but can be hard depending on the market. 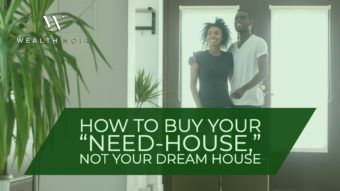 There is a cap to how much home you can buy, around $600k for a single family home, and sellers in places like the Bay Area don’t like to accept them because of the added headache and the competing cash offer they receive. This can sometimes be overcome by offering a higher price to entice them. 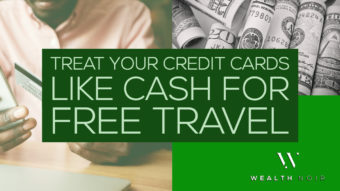 The time machine is to go back to the crazy lending practices of the late 2000’s where banks were begging me to take their no money down loans. Damien have you tried other forms of real estate investing like hard money lending or tax deed auctions? I’ve considered using hard money but haven’t looked into tax deed auctions. I’m a very boring investor, but it’s been working for me. I just do traditional financing with houses I find on MLS. I’ve been considering hard money for renovations as part of a buy, renovate, hold strategy, but haven’t needed it yet. If you can save and fund the deal yourself, you save a lot of costs. I know next to nothing about tax deed auctions since I just do MLS. Ah, I meant more lending hard money then using it. 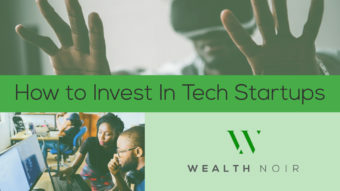 It seems like a great way to make big returns if you have the capital, knowledge, and network. I have been thinking about that, but haven’t gone deep yet. I’ve been more interested in platforms like Realty Shares that let you do it virtually instead of having to go out and source deals. I really work hard to minimize the time I actively have to spend maintaining my real estate investing. Any thoughts on or experience with roofstock.com? I purchased my 1st home earlier this year, and now and looking to get into buying a rental property. I’m scared to pull the trigger though and feel like i’ll fall into a trap by not asking the right questions. Thinking roofstock can help to take some of the guesswork out of it, but looking to get your opinion. I haven’t personally used roofstock, but we did do a post on Turnkey Real estate investing which covers companies like roofstock and the turnkey model. Started in real estate the same way. Bought a short sale condo in chicago when I was single and am now renting it out since i’very moved to Ga. We bought a house in Ga and are looking to purchase additional rental properties here. How did already having multi properties effect your ability to get financing? Did u have to have 20% down for your additional properties? Yes, I am doing 20% down on new properties as pure investments. If I’m doing owner-occupied, then I have been offered lower down-payments. Some banks have asked for 25% for investment property loans. You have to shop around. I am looking in to getting in to real estate investment. I live in Toledo, Ohio and am always worried given the economy here(Toledo is basically an extension of Detroit). I know I’d like to buy and hold. I guess I am just wondering what is my best path for beginning this journey. I currently rent, but I’d like to not anymore. I’m also not looking for a “forever home” just yet. I guess I’m just looking for some guidance. House hacking (https://www.biggerpockets.com/renewsblog/2013/11/02/hack-housing-get-paid-live-free/) is an area I propose for a lot of first-timers because it gets you a house to live in and a rental property at the same time. 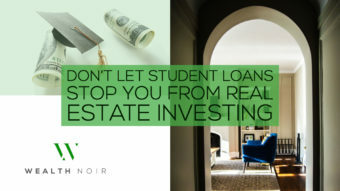 It also means you can get a normal regular home loan, instead of an investor loan with more hurdles and a higher interest rate. I’m also a believer that there are deals and good investments almost everywhere. If Toledo is home, you know the market and the area, and you wait for the right property, it’s hard to go wrong. 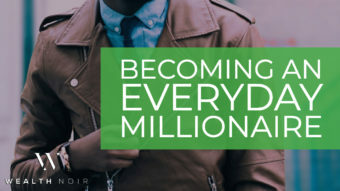 BiggerPockets.com, their website, podcast, and webinars, are a great place for beginners. 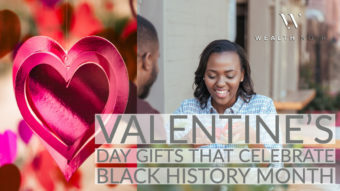 The Key Resource (http://thekeyresource.info/) is another site I’m a fan of, especially for some Melanin inspired help. Do have any one on one coaching programs? We don’t offer coaching right now, but are looking to add more services this year. Stay tuned.